We serve sushi in the Tokyo traditional style yet with mainly Scandinavian and European ingredients.. 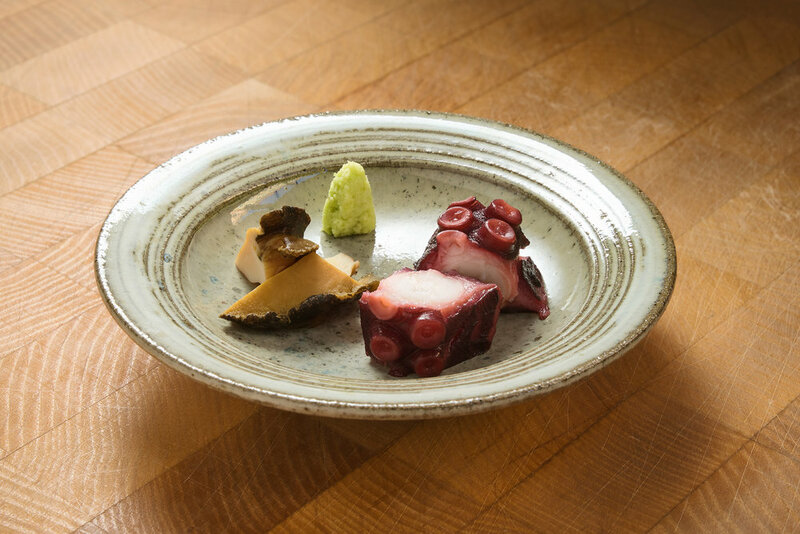 The Chef's daily selection of Sushi and small dishes. 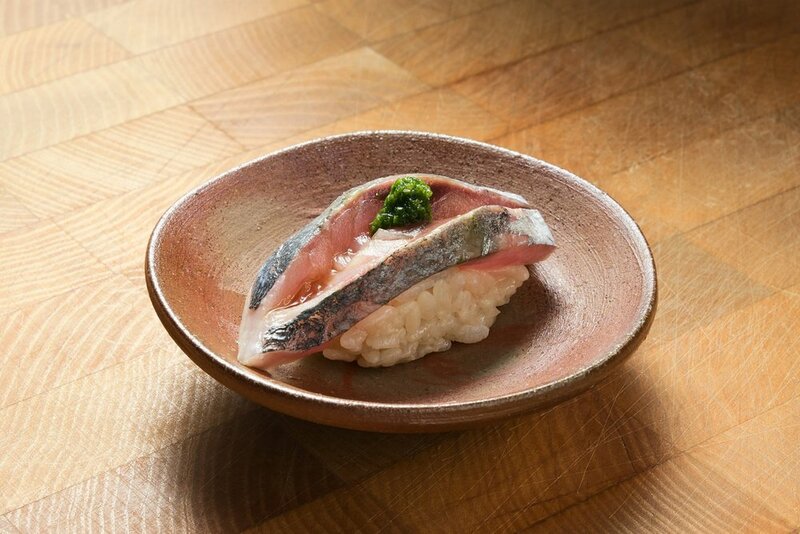 We serve one menu, Omakase + Tsumami: small dishes and nigiri sushi. All guests seated at the bar are served each course at the same time, directly by the chef. The menu varies by season and produce available, and can differ from day to day. We can easily adapt the menu to accomodate for guests with dietary restrictions due to allergy or pregnancy. However, the menu can not be made vegetarian as it always includes seafood. It is unfortunately not possible to exclude rice from the menu. We open reservations for the following month on the first day of the current month. For example the entire month of February is open for reservation from the first of January. March is open from the first day of February. April from the first day of March and so on. Reservations are secured with a credit card and must be confirmed within 6h to be valid as booking, detailed instructions are sent by separate email. Any cancellations or reductions in party size made within 48 hours of the reserved time will be charged with 545 SEK per guest. To be put on today's waiting list, please call the restaurant between 15.00-16.30. For Saturday's waiting list, we accept requests from Friday afternoon the same week.